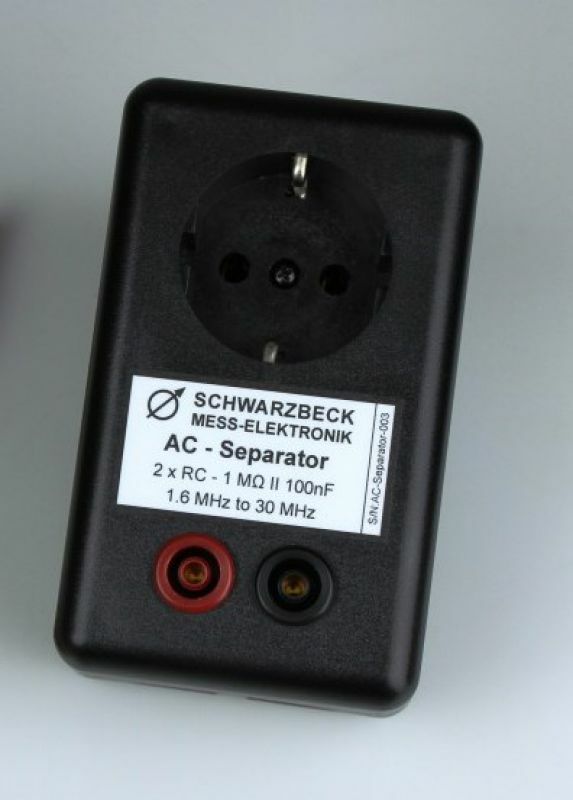 ISN 50561-1 is an impedance stabilization network (ISN) for measurements of asymmetrical disturbance voltage of power line communication equipment. This ISN is built according to the standard EN 50561-1:2012, Annex B, Figure B.1. The AC separators provide connectivity between the LISNs and the device under test (DuT) respectively the auxiliary equipment (AE) as well as the connection to the measurement setup. Two of the R/C elements required by the standard EN 50561-1 are already built in (1 M || 100 nF). Two identical AC separators are required for the measurement setup. 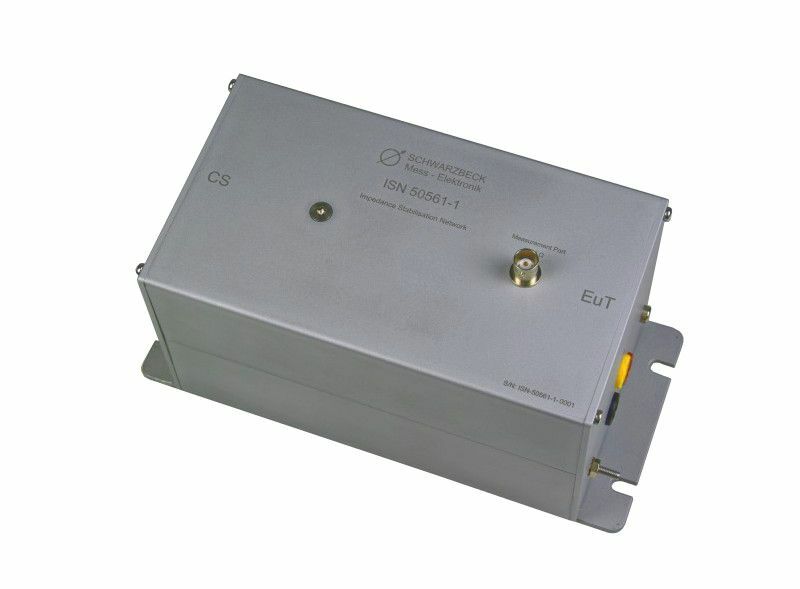 The coupling unit CU 50561-1 belongs to the equipment for measurements at powerline transmission devices. 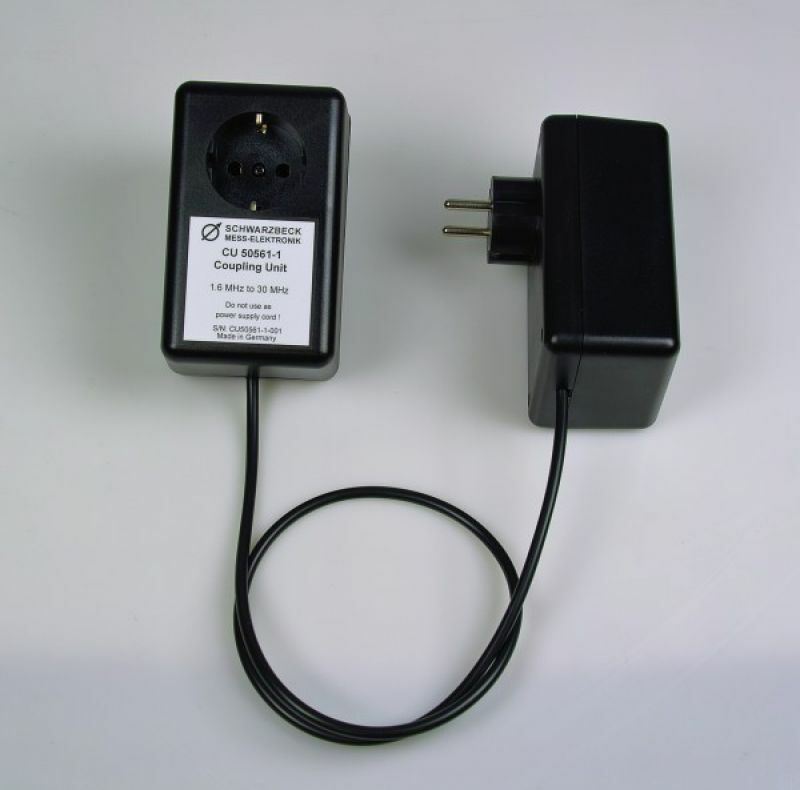 The specifications for the measurements at PLC devices are included within the standard EN-50561-1. 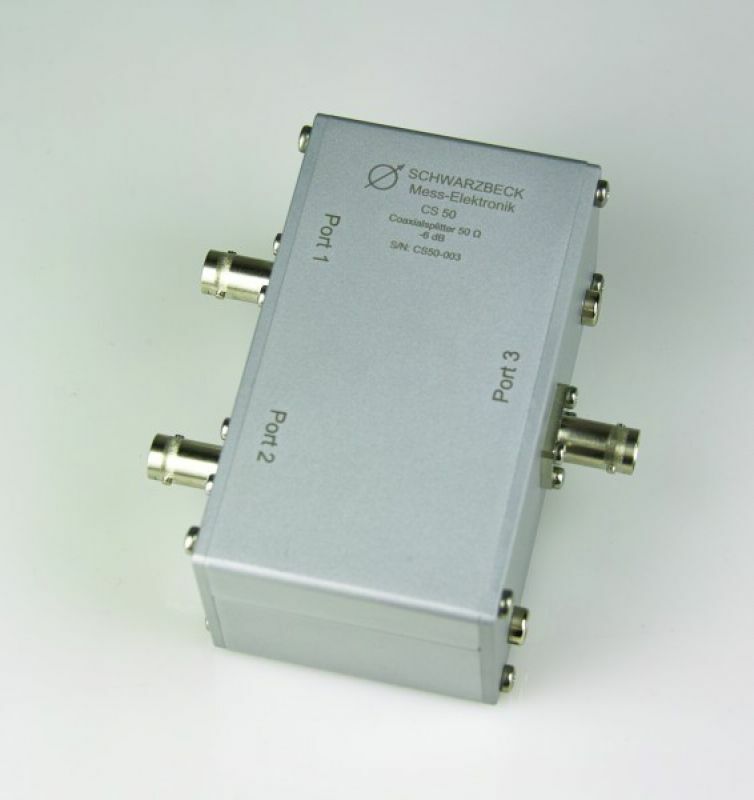 Combined with two line impedance stabilization networks (LISN) the coupling unit provides a coupling system which guarantees defined conditions for the measurement. 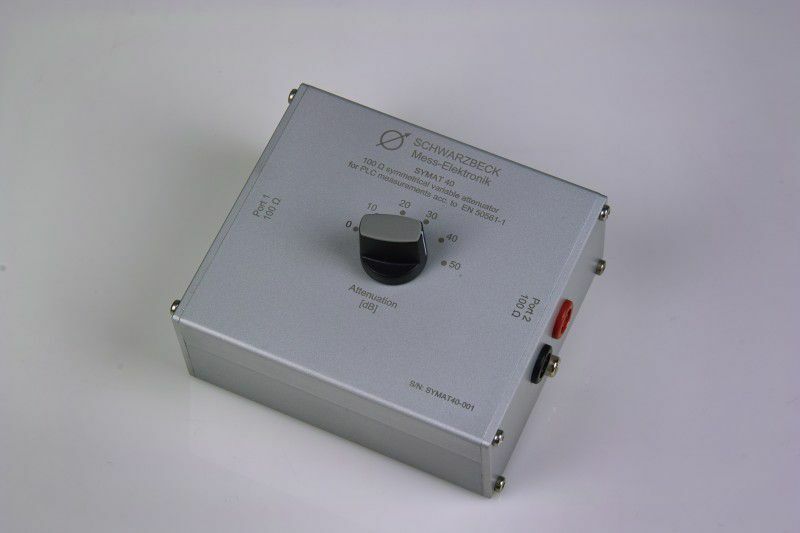 SYMAT 40 is a symmetrical 100 Ω step attenuator. 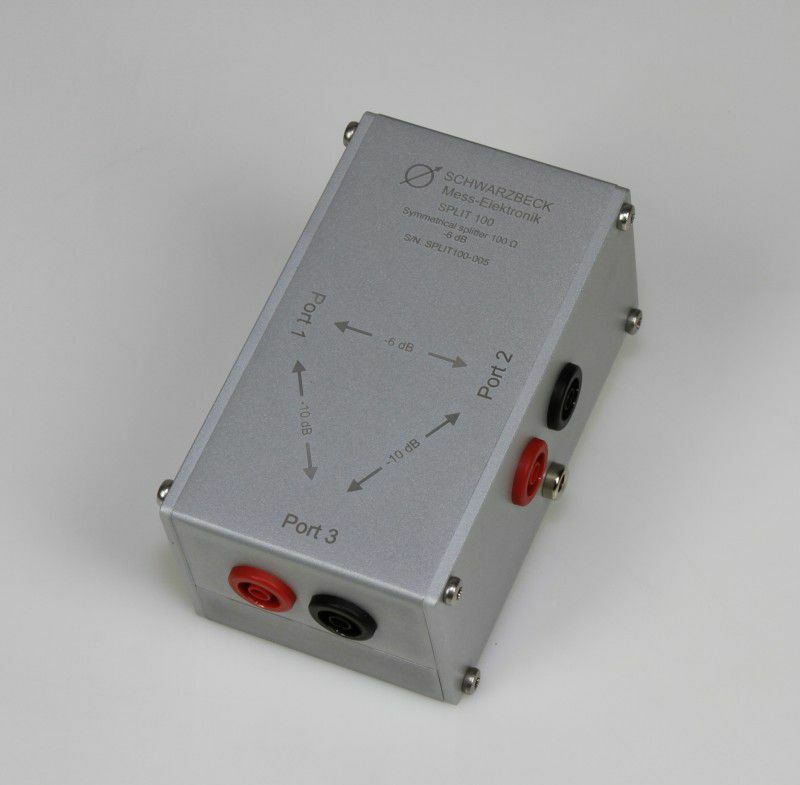 It is switchable between 0 dB, 10 dB, 20 dB, 30 dB, 40 dB and 50 dB. It’s purpose is to gather properties of the dynamic performance control of PLC/PLT devices. The measurement setup is described in the standard EN 50561-1:2012 chapter 9.2. Figure 4 shows the setup. It is part of the measurement setup according to EN 50561-1:2012 which is explained in chapter 9.2. Figure 4 shows the measurement setup with the available components.